M&S Parking: You may have never driven in NYC, but it still won't stop you from getting a parking ticket! You may have never driven in NYC, but it still won't stop you from getting a parking ticket! 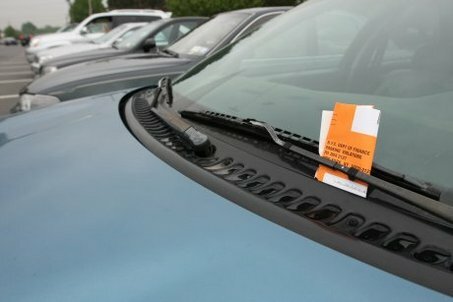 San Francisco resident Katie Gilmore has never driven in New York City, but that didn’t stop the Department of Finance from sending her a double parking citation. Gilmore sent proof that not only was she in California the day the ticket was issued, the car described on the ticket was a different color from her own. The DOF claimed to never have received her paperwork, sent another warning notice, and told her to just pay it before the fine went on her credit report. Eventually, Gilmore went over the ticket with a DOF official and they discovered illegible handwriting in the license plate box was to blame- the summons was actually written for a completely different car! Next time, Gilmore should contact M&S Parking as soon as she receives a ticket- we see these types of ticket errors all the time!